It's no secret I'm an activist CEO. From my work against North Carolina's Amendment One and HR 2 to my advocacy for affordable healthcare and people living with HIV and AIDS — my causes are my company's. That's why I sat down on Martin Luther King Jr. Day and pledged to combat racism and be a better ally to people of color. 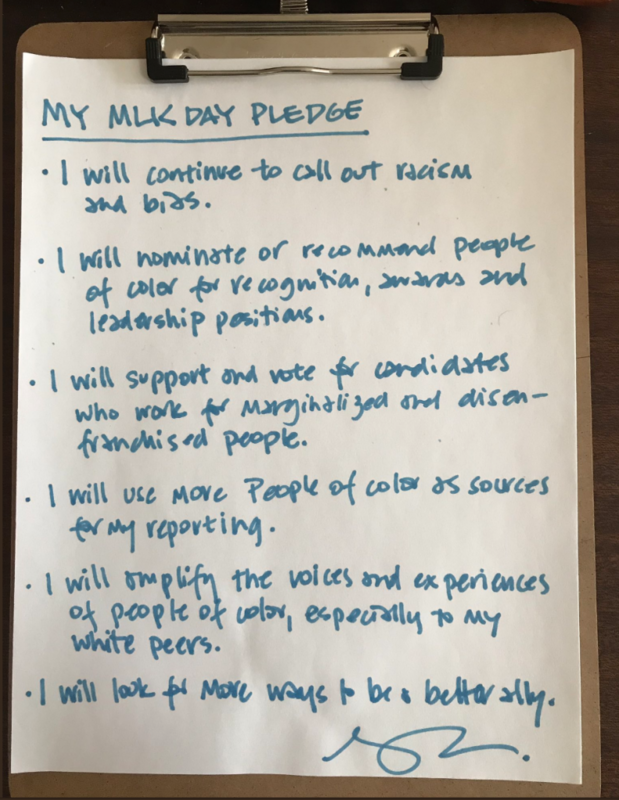 I invite you to create a pledge of your own to be a stronger and more active supporter of the cause/s you care about most.